That storm was part of a six-day outbreak of an estimated 180 tornadoes that caused 177 deaths, including 157 in Joplin, Missouri. Total losses across 15 states were greater than $7 billion, according to the National Oceanic and Atmospheric Administration. “The year 2011 has already established itself in the record books as a historic year for weather-related disasters, and it is not over — in fact, hurricane season is just getting under way,” NOAA Deputy Administrator Kathryn D. Sullivan told the Senate Appropriations Committee in late July. Having helped out with a Whitcoulls stock take and observed deeply the full range of bullsh*t they stock it comes as no surprise they’d stock what is the “how-to” of child abuse the fundie Christian way in order to make a profit. And ironically enough even Family First is against it, despite their framing of the Section 59 repeal as only being about light smacks, instead of closing the loop hole that allowed for the level of abuse To Train Up A Child teaches to be dealt with properly. Tonight, CNN’s 360 with Anderson Cooper picked up with Gary Tuchman’s report on Michael and Debi Pearl, best-selling authors of religiously themed books. The Pearls’ methods are controversial, particularly in light of a case involving Kevin and Elizabeth Schatz of Paradise, California, jailed for spanking their two adoptive daughters so severely that one died. The surviving adopted child, as well as their biological children who were also victims of severe punishment, are in foster care. My giddy aunt! How insane can some people be? There’s really nothing Christian about these ideas… and some “Christians” need to learn that. Should NZ booksellers be allowed to sell a book advocating smacking children? Which totally misrepresents what the book is about. It isn’t about ‘smacking’, but rather seriously violent ways of discipling children, apparently including using a ‘rod’, thumping and hair pulling. FFS. I see that our beloved leader, Dear John, has jumped onto the international bandwagon to recognise the new regime in Lybia. Why does he also offer millions from our meagre overseas aid budget for the rebuilding of infrastructure when there is going to be billions of Gaddifi’s frozen funds in America now released to the new government? Surely we should be using our aid budget in the Pacific and let the rich Muslim countries assist the rebuild of Lybia? Not to mention the devastated people of that forgotten earthquake in Haiti. No-one put me right on a statement I made on police detention of the young Asperger’s sufferer in Christchurch. I thought that diversion was one possibility but hear police saying that it is only available for them to use with someone who admits guilt. It is not suited then to a case where they are dealing with someone who has a different, particular, altered view of society because of different brain function. Something else is needed. There must be some fairer way of treating such offenders, perhaps under a mental health act. Does anyone know? Also the light bulbs theft was played up but apparently also, he was inside the forbidden zone which was being zealously guarded by authority. To keep us safe from harm. Also to prevent this sort of mindless looting so I guess any reasoned response would have long ago snuck out the door and down the steps. My recollection is that he was prepared to plead guilty on the condition that diversion was granted. This sort of negotiation is fairly standard practice as far as i am aware and often but not always results in a satisfactory outcome for both the accused and the police. In this case the police refused diversion because they wanted to make an example of him and justify their use of force and so it went to defended hearing. I am not a lawyer however so someone else may be able to shed a bit more light on the particulars of this case and the protocols around the use of diversion. bas jumping? The police need distance from the events to act with integrity. negiotiations, were the Police the only people involved in the decision? Hands up if you too thought the Asset sales were to pay off Debt. Joyce has said repeatedly that Transmission Gully and the other roads for multi-freight incorporated had budgets already put aside for them, So what does this little statement actually mean ? Apart from the fact these feckers believe the public to be complete morons i mean, which sadly the majority, according to the polls, appear to be. The above article claims that news reports from Libya are being doctored, and that the rebels have not been nearly as successful as has been made out. The claim by at least one reporter that she has been threatened, by some parts of the MSM, for telling the truth, seems almost more shocking than the war itself. Hardly surprising when doctoring the news and repressing journalism appears to be par for the course in the Arab world. I don’t know whether the Al Jazeera report was doctored, I do understand that there is plenty of spin, bias and outright lies in the MSM. But there are also plenty of reports that show this ‘globalresearch’ article is not reflecting reality. This will do more to curtail tax avoidance than National has pretended to be doing in the last couple of years. I only wonder why it took the IRD until 2008 to file this case against the pair who had been rorting the system since 2000. Surely they could’ve gotten onto them in 2003-04ish? I liked the $25,000 fee imposed by the learned judges to compensate IRD for having to defend the appeal. Hundreds or thousands of rorters will be likewise at risk similar to these two pillocks of the community. I’d like to see a grace period for similar rorters to ‘fess and pay up, or incur a nice $25,000 for making the IRD do the work. Abuser pays! Hmmm. You wonder? Flippin’ heck, you must be dense. You clearly didnt read the article. The case was lost by the commissioner in the High Court, went to the Court of Appeal, and was then appealed to the Supreme Court. On top of that, there would have been the initial investigation by the IRD, the issuing of NOPA’s and the correspondence that surrounds that. Secondly, the article makes it look like the two surgeons were only paying tax on their salaries, which is not correct as the difference would either be taxed in (a) the trust or (b) the beneficiaries of the trust hands if a distribution to them was made. There are plenty of statutory controls on tax avoidance in this country, and they work just fine. Its just that numbnuts like you, and your ilk, don’t (a) understand what tax avoidance is (b)understand them and (c) dont want to understand them since it would ruin your half baked theories. Why don’t you post a few links to beneficiaries “rorting” the system? I’m sure you’d be able to easily find a few if you really wanted to try. I have no idea why you are whining like this. It seems to have touched a nerve. It comes down to this: There has just been a decision by the highest court in New Zealand that you cannot structure your affairs for the sole purpose of avoiding paying your fair share of tax. Any idiot reading the article will know that the trust/business still has to pay tax, but it will be at a lower rate than their personal income tax rate, and this has been found by the court to be tax avoidance. Whether or not the decision was unanimous at all stages, it has been upheld by the highest court of NZ. On that basis, it will serve as a precedent for future cases. Indeed, this case is part of the ‘statutory controls on tax avoidance’ – the IRD will obviously need to defend itself against any decisions it makes if challenged in court, and the court has come out on the side of the IRD. Nice one wtl. Dont have any arguments as to what you say at all other than I’m not sure where you get whining from. I was in fact responding to Lanth who couldnt understand why the IRD hadnt gotten onto these chaps sooner. The fact that the High Court ruled in favour of the taxpayer and the CofA decision had a dissenter means that the issue wasnt as clear cut as it seemed. Ergo it took longer. And yes, it may set a precedent. But then Duke of Westminster v IRD was a precedent. They can be ignored. And I’d point out that this decision was very tightly aligned to the facts in this case. In fact, there are situations where this sort of arrangement would be perfectly ok.
You are quite wrong when you say “any idiot” There are many on this site who would believe these guys were paying no tax on the balance. Just read what some have to say. As a matter of interest, what do you consider a fair share of tax? What rates are fair and which thresholds? Who do you consider to be rich and at what point does one become rich to fall into the top marginal tax rate? I read and hear a lot of rhetoric about “paying you fair share” here and from the Labour Party, but no one ever puts a line in the sand, do they? Whereabouts? On this post Lanth, wtl, you and I have commented on the decision. And we four are not ‘many on this site’. And I don’t see us making any comment on not paying tax on the balance. 1) You seemed to be whining based on a your long and somewhat insulting response to Lanth. It certainly seems to have taken some time for the case to have been filed and you have outlined some possible reasons for this, so fair enough. 2) I am hardly an expert, but it seems that tax accountants are taking noted of this decision and that IRD may issue some guidelines as a result of this decision. As such, it would appear that this case is, in fact, an important precedent. 3) Indeed some people mistakenly think that they paid no tax but it is impossible to write a report explicitly stating every single point. In my view that report was written well and was quite clear, unlike some other stuff that comes out of the NZ media. I still believe that most people reading that article would have understood what happened, including many of those here. 4) ‘Fair share’ in the above comment referred to what is set in the law, i.e. what other NZers are paying. These people tried to avoid paying what they were supposed to be structuring their affairs in a certain way and I’m glad they have been caught. I am not willing to go into an argument with you about tax rates at this time but I will state that I strongly support a complete overhaul of the system, such as that proposed by Gareth Morgan. When farmers and other self employed can organise their affairs so that their children can qualify for Student Allowance and sit in lecture theatres next to children of families on moderate combined incomes (exceeding $70000 combined) who do not therefore qualify for Student Allowance, there is something fundamentally wrong with the tax system. Farmers and the self employed can also put everything down to the company so that they can claim the GST back, fill the family SUV tanks with diesel, claim clothing allowances and many more and generally live a charmed life. Don’t start talking about the few benefit abusers. And therefore logie97, a beneficiary, who pays no, or little tax, and who’s children get a student allowance, should also be berated? Farming is a business. Certain expenses in business are tax deductible, as they are incurred in generating taxable income, and there are anti-avoidance provsions in the Income Tax act to prevent abuse. and there are anti-avoidance provsions in the Income Tax act to prevent abuse. And are they enforced fairly and evenly across industries? What if accountants structure affairs so that income is minimised – legal avoidance? This example shows you don’t get it. In the case of a social welfare beneficiary, the social welfare beneficiary will often be in control of very little income and assets. logie97 is talking about farming beneficiaries. Who often have very significant revenue flows and assets under their direction. I would say of course they are enforced evenly and fairly Colonel. Why would you say it is not? What if? What is the point of this question? Minimising your tax is a right give by the Courts in Westminster v IRD (and taken away to a degree by the Penny & Hooper decision). Are you asking what I think of legal avoidance? I think I do get it Colonel. And I also understand farming quite well in fact. I’m also sure that you understand that “very significant revenue flows” dont always equate to lots of money in the bank. A beneficiary has revenue flows as well, and has choices as to what to do with it, however limited they may be. Assets are a different story to a point, agreed. However, assets don’t always have a direct correlation to cashflow unless they are disposed off. Then there’s the old hoary problem of debt – equity and interest to be sorted. So, are you saying that a farmer, with no taxable income, but assets (or an indirect benefit from assets), should not be able to get assistance from the government for his child to attend unversity, whilst a beneficiary, who has no taxable income and has no assets should? If so, are you advocating, heaven forbid, asset testing? Last April, the Senate Permanent Subcommittee on Investigations released a 650-page report on the financial crisis that provided a detailed factual account of banking fraud as well as the collusion of federal regulatory agencies and the credit rating firms. The report concluded with a list of federal securities statutes that it suggested had been violated by major Wall Street firms. The Obama administration has ignored this report as part of its efforts to shield the financial elite from being held to account for its actions. Now, having blocked any federal prosecution of senior bank officials, the administration is intervening to quash investigations at the state level. Nothing could more clearly demonstrate its role as a tool of the US financial oligarchy. If I want to download and watch a film made in 1979 and seemingly not around in quantity am I able to do that? Or do I get sanctioned under new or old laws? And would it be safe to link to the site to get more information? I’m cautious about the internet not wanting to get caught up in the bad web of deceit that’s out there. Anyone who could steer me in the right direction? IANAL but I think I would be illegal to download it without paying for the rights to view it. In practice, however, I doubt you would get into trouble for doing so (as long as you are simply downloading it) – that would require the rights holders to make an effort to determine that you have downloaded it and lodge a complaint. I doubt anyone would be bothered for an old movie which isn’t making any money. Should you download it? That is probably more of a moral decision on your part so you have to make up your own mind. Not sure what you mean by ‘safe to link’, but I don’t think lprent would want you to post a link to a site hosting movie downloads, so don’t do so (if that’s what you mean). What exactly is the “bad web of deceit”? As for links – I’ve heard stories about being careful as to what you link into to prevent trojan programs etc. We have a pretty good firewall here and operate through Linux and I think that makes a difference but I still am unsure when I think of linking. The bad web of deceit bit – just my reaction to the shysters who use the web for criminality and abuse of privacy. Yes you would want to be careful about what sites you visit. Sites that host illegal or quasi-legal material are more likely to be malicious than other sites. Obviously, don’t install or run any programs from any site you don’t trust. But if you just download a movie file (e.g. .avi), you should be able to play it in a movie player without any worries. Some sites may take advantage of security holes in your browser or operating system to install programs into your computer without your knowledge, but I think it is much more likely that they would infect your computer by ‘tricking’ you into installing something. Would a Standardista like to build on and extend the analysis for this piece please? * Further questions to be raised – What does research, if any, reveal about the nutritional content of the new GM corn? What involvement,if any, does the alcohol industry have with this new GM corn? The corn has been modified to contain amylase, which breaks down starch (glucose polymers) to glucose. Obviously, this is an advantage for the corn to be used as a feeder for bio-fuel, as the microorganisms used to generate ethanol are undoubtedly able to metabolise glucose more rapidly than starch. Without any firsthand knowledge, my expectation is that nutrionally, the corn should still be ‘okay’ to eat – amylase is a naturally occuring enzyme in the body (in the saliva and intestine), as starch needs to be broken down to glucose to be absorbed and utilised. The corn may have a higher percentage of simple sugars than starch, due to the presence of amylase, but should still contain a similar number of calories. Obviously, the presence of the enzyme makes the corn unsuitable for use in certain recipes which demand the starch-like qualities of corn. In saying that, I expect that this corn will not be approved for human consumption as that would probably require additional testing that the company may not bother with. I don’t think the alcohol industry would have anything to do with this corn, I don’t know of many alcohol products that are consumed use corn as a carbohydrate source. The brewing processes will also be optimised for the particular ingredients used, and I don’t think the break down of starch into glucose is a limiting factor, especially that the quantities of alcohol they produce are rather small (compared to that of biofuel). Don’t want to go there, but I wonder what the sewer rats think of Slippery’s apples-for-refugees deal? Comments on Rebecca Wright’s bit on the TV3 site suggest this might be a flip-flop too far for some of wee Joky’s fan club….. The 12 comments from his fan club here perhaps ..
Would be fantastic if NZ takes 750 refugees in exchange for sending shonkey into exile? Call me a cynic but this looks like a strategy to ensure that NZ falls in behind the Aussie ‘shut the door on boat people’ policies that are being rolled out. Old Shonkey didn’t have much luck whipping up xenophobic fear here last time refugees held up rather aspirational destination ‘news land’ signs – because boat people dont actually make it to NZ -however this is one way to to make Australia’s problem our problem as well. Rufugees are going to become an increasing problem in our region, and NZ should take a compassionate stance as it always has, however our policies should be independent from that of Australia. Our neighbour has shown itself incapable of a reasonable discussion on this issue and it’s enforcement methods are likely to become ever more extreme as the situation escalates. We cannot be an effective advocate for a humanitarian response if we allow the Australians to call the shots. @ Campbell Larsen Good analysis. Couldn’t agree with you more. On the poor that is. Wow! Don’t tell NActs who will be truly inspired and reckon that would be aspirational. The NActs raised GST which is a regressive tax – it affects the poor moor than it does the rich. At the same time that they did that they cut taxes for the rich. I have been reading that selling the SOE’s would make them more commercial and . Surely there are ways to make an organisation transparent without resorting to selling said organisation? My god, they do not need to use dog whistle politics, pork barrel or any of the other terms they use for politicking, our country has by and large lost 20 IQ points across the board in the last 3 years! Time to separate parliament into two sections, one house for legal/ constitutional bills as well as financial, and another house for social laws. Obviously there will be overlaps and conflict, but having a GG with actual power as well as two Speakers may straighten some of this out? I believe we should, as voters choose all three positions via our ballot papers, I believe with how things are heading at the moment something needs to change before my generation are handed a country thats well and truly poked. @Dave A split house along law categories. That’s an interesting concept. Maybe we could get action on some of the things that drag on – like whether it is legal for councils to build speed checking ramps in city streets etc. The politicians couldn’t agree on whether they should have scented toilet paper or not in their loos. Yeah, me and my mate were discussing this yesterday and the idea would be that the legal house would operate slower and with more process however the ‘lower’ house would almost be in a state of constant urgency, in a way, but both houses clear each others decisions. Or something along those lines, all I know, from my own perspective is that the party politics is what is slowly eroding democracy in our country. Both major parties are competing on roughly the same policies as they know that swing voters are easy to uh, swing (no pun intended) so something needs to change, for the betterment of all. Or Sue Kedgley is right, we will have riots here one day, and that isn’t a threat or her trying to cause panic, its just a fact of life. And yes, I agree, the only time you have genuine consensus and progress in the house is generally when pay review comes around. @Dave Yes I see your points. 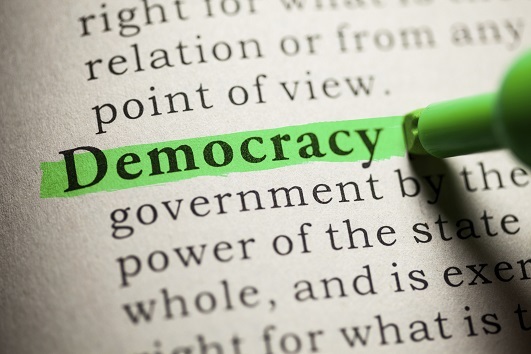 I too feel democracy is being eroded and though our political system has a lot going for it and we have fine-tuned it by adding MMP, we need to have a mission statement for what we want from government and look at how we can achieve this without huge changes from our present democracy. Some would like referendums but I don’t trust my neighbour’s knee jerk responses to problems, or some of those on this blog, to be better than the politicians who can actually achieve good public policy when they aren’t gaming each other and the populace. More and longer consideration of the basic policies with no possibility of announcing emergency and rushing stuff through without select committee or even cross-party discussion and agreement would definitely be better and the daily organisation could be left to another level. This would be more like a controlling body for local council and policies for everyday organisational matters. Also policies could be trialled by it, with the important ones going to the full government – matters of ethical, human rights, big spending, anything major. Past election analysis has shown that under our present system, government can be very uninterested in what all the ‘people’ think. What they do is to rely on compliance and automatic voting from their own supporters, discount the opposition votes, and shape their message and policies to the small say 10% swinging voter group. And the practice of seeking the names and addresses of those possibly pliable voters and then setting PR promotional dogs onto them turns democracy into a game to win for one’s own benefit not to serve the country’s needs and interests. We need something better and should be discussing this throughout the country as soon as 2012, after the election is over. This article gives some idea as to our future that has been brought about by massive over-population and the capitalist free-market. At some point, our great-great-great grandchildren may get around to forgiving us – if mankind survives the catastrophe that he has brought to this world. Mankind should be able to survive long term (a few millenia). But with no more than 1.5B population, probably less. To be hosted by Pat LaMarche, a Green party vice-presidential candidate in 2004, and former reporter Don Cookson, The Pulse Morning Show will air on the King-owned radio stations WZON 103.1 FM and 620 AM from 12 September on weekday mornings and online at zoneradio.com.